Seats 3 on each side & fits a chair on each end. 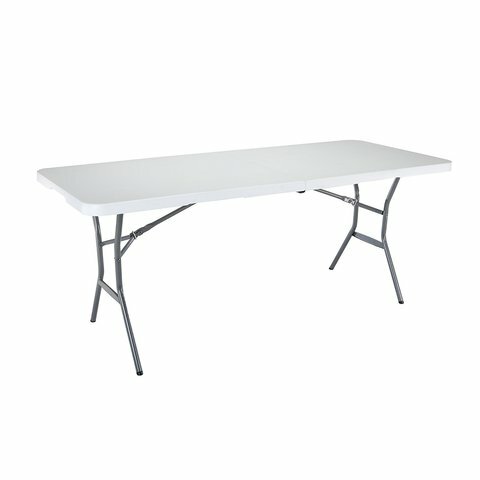 Tables may be rented seperatly or with chairs and tents. Free delivery if they are rented with a inflatable or tent. Otherwise small delviery fee may apply. Unfolding & setup is not included in rental. Unfolding service must be purchased separately from rental; $1.99 per table - $1.49 per chair. Click Here to add the Table Folding Service. Otherwise, customer must setup, take down & fold them.